Diverse and good quality food is the essential part of the proper development and good health of a cat. Before you take your new kitten home, make sure you have enough food the kitten is accustomed to. Keeping the kitten’s food the same helps minimize the stress of the move and gives the kitten time to learn and adjust to new surroundings. If you plan to change to another kind of food later, do it gradually by mixing the new food in with the old one. Keep your kitten's diet constant and don’t switch foods unless necessary. Keep fresh water easily available to your cat at all times. 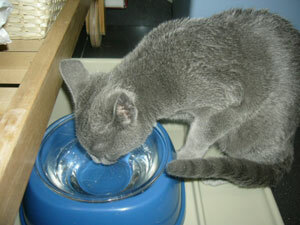 If feeding mostly dry food, it is important to remember that the cat will need to drink much more water. Take care not to overfeed or underfeed your cat. Cats seem to have a reason to eat grass, so it is better to provide them access to grass. 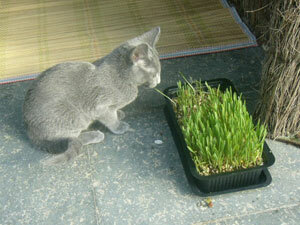 Fresh grass contains some minerals and vitamins necessary for digestion of cats. Besides, grass helps cats get rid of hairballs. Cat grass can be easily grown from special seeds at home, or you can buy it in pet stores. Remember to avoid chemically treated grass and toxic plants. It is important to remember that the digestive system of the cat is different from the human’s one. The food, that is usual and useful for us, can sometimes be even dangerous for a cat. For example, milk is often not digested by adult cats, while some kinds of fish can cause problems in the cat’s stomach. We also differ in our needs in vitamins. If you choose to feed your cat with natural food, first of all, ensure, the food is complete and well-balanced. It should include two kinds of dishes: meat (based on lamb, beef, turkey or chicken meat, some raw vegetables, fish, olive oil and eggs) and dairy products (natural yoghurt, cottage cheese). A good way of feeding is a BARF (biologically appropriate raw food) diet for cats. It consists primarily of uncooked meat, bones and organs, combined with some raw vegetables. The ingredients used to formulate raw diets can vary. And you can find more information about BARF and a good amount of carefully designed recipes on the Internet. Cats need a diverse nutrition ration, but it is difficult to make them eat food they don’t like. 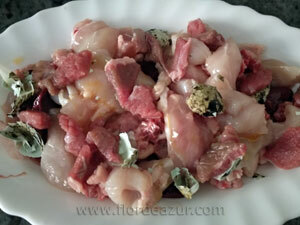 Natural foods are only good when being a well-chosen diet, meeting individual cat´s needs. It is easier, more safe and convenient to feed your cat with a high quality premium commercial food. It is very nutritious for cats and somewhat represents what the cats would normally eat in the wildlife. All the commercially prepared foods can be divided into two classes: commercial (spend sources on advertising) and professional (the main part of the sources is spent on the purchase of high-quality products), and two types: dry and canned. Commercial food is not suitable for cats. It is deficient in nutrients and sometimes can be even harmful for cats. Only super-premium professional food meets all their energy and nutrient requirements and is the best way to feed a cat. Professional food is quite more expensive than commercial, but it is the food you can trust. Particular attention should be given to canned food, to be sure that the ingredients used are guaranteed to be of good quality. We recommend to base the nourishment of your cat on one of these super-premium cat biscuits: "Farmina", “Acana”, “Orijen”, “Royal Canin”, “Advance”, “Hill´s”, combining them with high-quality canned food, like "Almo Nature", "Applaws", "Porta 21", “Sheba”, “Hill’s”, “Royal Canin”.